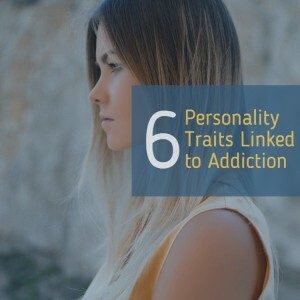 Although there is no one set addictive personality type, researchers who study the causes of addiction have found a number of traits that are closely linked to an increased risk of drug or alcohol abuse. Impulsive people are often viewed as fun to be around due to their spontaneous nature, but this personality trait has a serious dark side. People who are impulsive often don’t stop to think about the potential risk associated with a decision. They will go with whatever course of action seems like a good idea at the moment, which can often place them in risky situations involving drugs and alcohol. The link between impulsivity and substance abuse can be seen in the high number of people with an ADHD diagnosis who also struggle with drug or alcohol addiction. Impulsivity is one of the defining personality traits associated with ADHD. Researchers have found that about 25% of adults in treatment for alcohol and substance abuse have been diagnosed with ADHD. This makes addiction five to 10 times more common in people with ADHD. People who are seeking addiction treatment often describe themselves as nonconformists. They consider themselves as fundamentally different from their peers due to their interests, values, and goals. While the desire to embrace your individuality should be celebrated, feeling like you’re an outsider can lead to social isolation. This lack of perceived support from friends and/or family can increase the desire to turn to drugs and alcohol when faced with challenging situations. People who suffer from anxiety can find themselves plagued with worries about personal relationships, fitting in, and managing everyday situations. They can suffer from physical complaints such as insomnia, panic attacks, stomach problems, dizziness, shortness of breath, and muscle tension that make it hard to focus on their daily activities. To calm the constant chatter in their minds, they may turn to drugs and alcohol. People with high levels of anxiety often begin their journey to substance abuse by using cigarettes to calm their nerves. After they develop tolerance to nicotine, they start to add alcohol or benzodiazepines into the mix. The problem with this approach is that they eventually end up needing extremely high levels of all of these substances to approach the state of mental calm they crave. Stress is a natural part of life. However, some people find it significantly more difficult to handle stressful situations, such as an argument with a romantic partner, a high stakes project at work, or an unexpected health crisis. People who don’t learn to develop positive coping mechanisms to handle their stress may turn to drugs and alcohol for temporary relief. A low tolerance for stress is often associated with high anxiety levels. However, people can learn to increase their tolerance to stress with cognitive behavioral therapy (CBT). Sensation seeking refers to the desire to constantly seek out new experiences when placed in situations without a lot of sensory input. Everyone engages in sensation seeking behavior to some extent, but people who report high rates of this activity are most prone to addiction. Sensation seekers are risk takers who enjoy pursuits such as engaging in adventure sports, attending loud concerts or parties, and traveling to meet new people. They are also more likely to drive recklessly and prefer having multiple sexual partners over stable relationships. In general, men and young adults have the highest rates of sensation seeking behavior—which can help explain why these groups also suffer from substance abuse issues at the highest rates. Blame shifting refers to finding it difficult to take responsibility for your own mistakes. Substance abusers tend to exhibit this personality trait in higher than average numbers, often arguing that their drug or alcohol use isn’t a big deal or that they could quit using if they really wanted to. Extreme blame shifting accompanied by a lack of empathy for others is associated with Narcissistic Personality Disorder (NPD). One recent study suggests that about 12% of people with substance abuse problems also meet the criteria for NPD. Most personality type research suggests that basic personality traits are inborn and can’t be changed. However, this doesn’t mean that someone with traits that are linked to addiction is destined to develop a drug or alcohol problem. It simply means that he or she is at a higher risk for addiction and needs to learn ways to channel the negative aspects of certain personality traits into a more positive direction.